The plasma cutter will only cut 2D shapes. It is what the machine is designed for. But we love creating 3D shapes. To do that we have to put on our thinking caps and get creative. The answer is to combine different shaped flat pieces of steel to form 3D objects. These pieces we cut don't have to remain flat. For the Flutterbye feature we needed some oversize leaves. They were to be made of plasma cut steel and then powder coated. 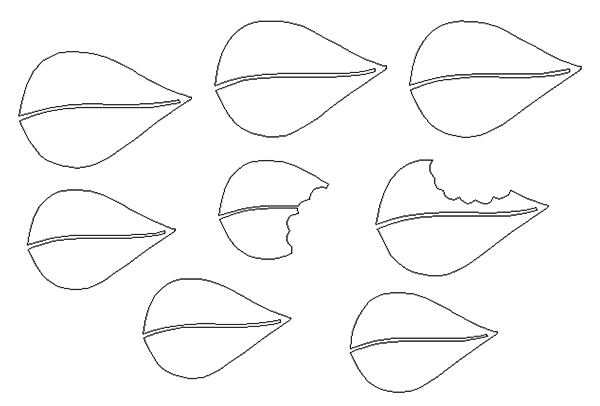 I designed the leaf shapes in EnRoute with an 'S' shaped slot in the middle. The slot was 1/2" wide to allow me to weld in a half inch steel rod. Two of the leaves have 'bug bites out of them. I first bent the rods to match the 'S' curve. Then I bent the leaves with a gentle curse. 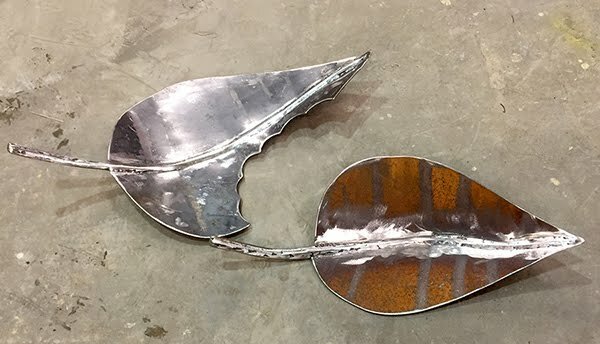 The steel rod was then bent (in a second axis) to match the curved leaves. 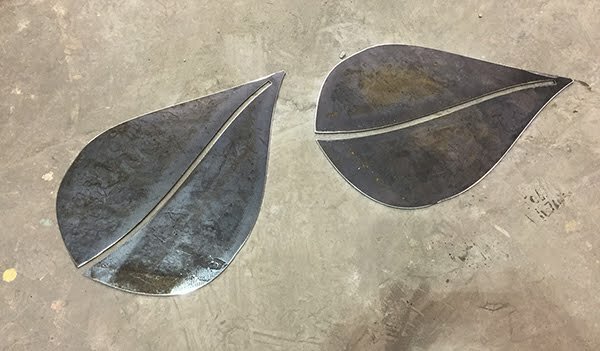 Then I tack welded the rod between the two haves of the leaves and once aligned fully welded both sides.Each leaf was bent and welded a little differently to make them all unique. A little grinding with a sanding disk made them ready to sent to the powder coaters.